1 : 16000000 Picquet, C.
1 : 15000000 Levasseur, E.
233-234. 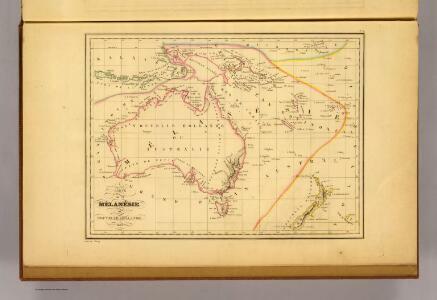 Australia, Oceania, Physical. The World Atlas. 1 : 25000000 Johnston, W. & A.K. 1 : 69000000 Reichard, C. G.